Although it’s easier in the spring, summer and early fall growing seasons to have plenty of fresh vegetables, salads, etc. on the table – the key to really becoming more self-reliant on your own food is to have a year round plan in place. For us, that is where a little planning, canning and freezing have really helped us to accomplish our goals – allowing us to provide a large portion of the food we need, from what we grow. 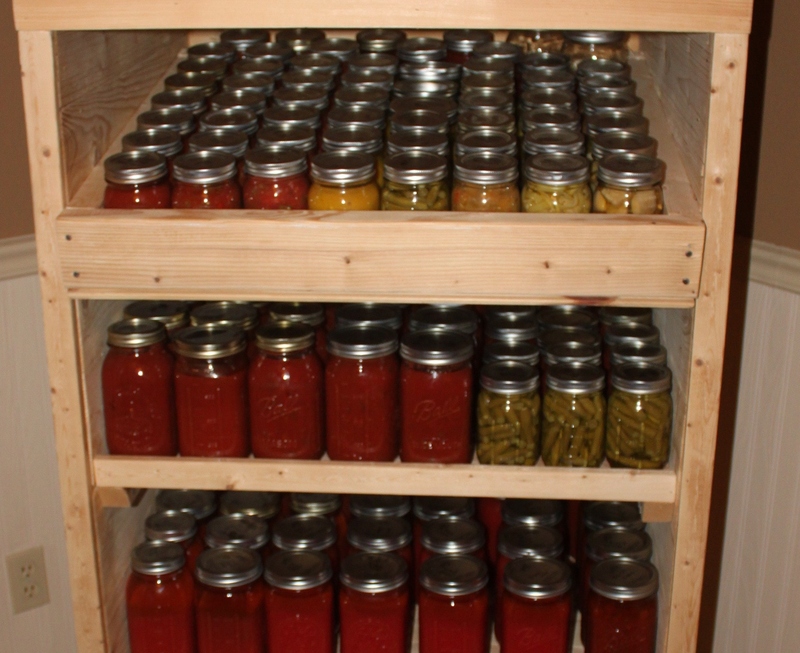 The canning pantry – filled up after last years garden season. 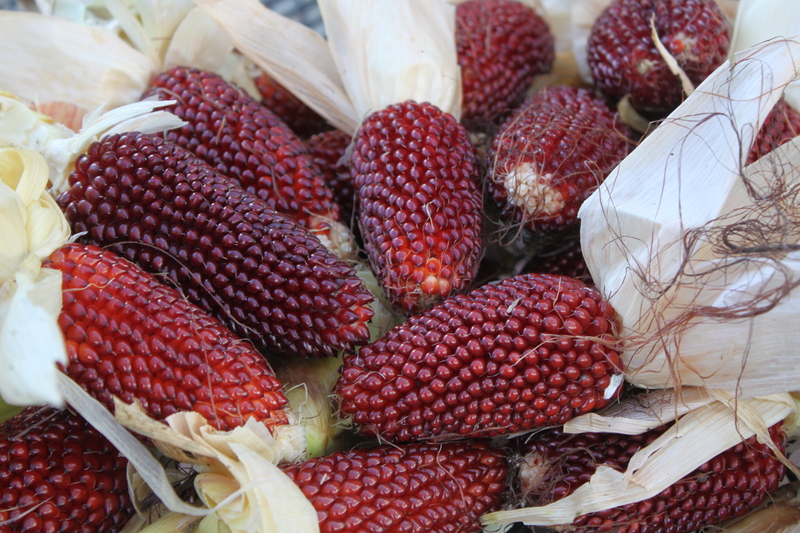 Although nothing can ever replace the taste of the first stalk of asparagus in the spring, or fresh corn on the cob in mid summer – the late fall and winter months have actually become some of our favorite times to enjoy what we have grown. In reality, it’s a second celebration of enjoying the fruits of the garden through our canned, stored and frozen stock – without putting in a single days work in the garden! Each year we get a little better at storing a little more of exactly what we will use. 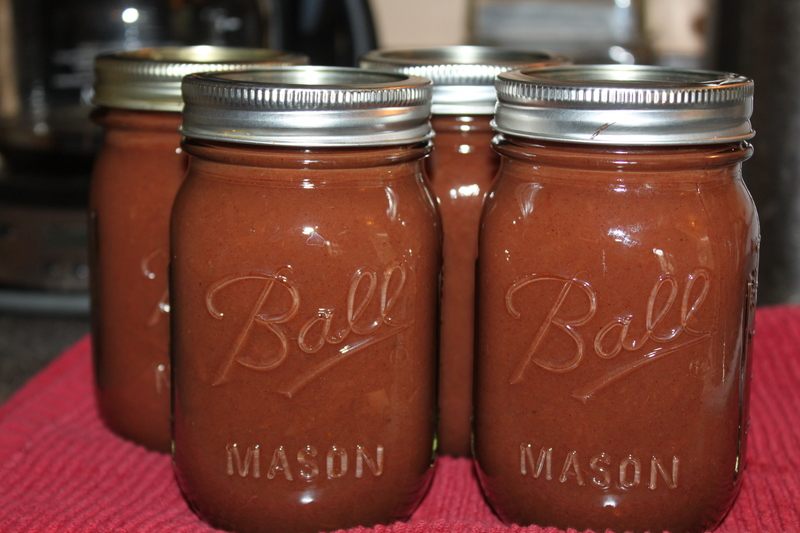 (See: Growing A Garden For Canning) In addition to our staples – tomato juice, pasta sauce, corn, green beans, peppers, salsa, jellies, jams, etc. – we also grow and dry-store potatoes, onions, garlic, carrots and popcorn. The next part of the process will be to build a small, old-fashioned underground root cellar at the farm to provide great long long-term storage. We still have a ways to go on the farm. 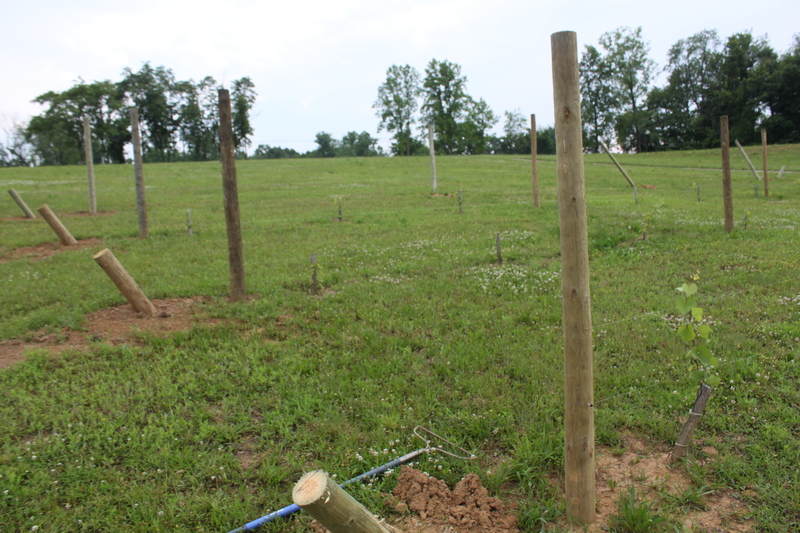 Some of what we have planted – like our small orchard of apple and cherry trees – and our little vineyard of grapes will take a few years to come to fruition. But when they do – they will add a lot to creating food sources. The apple trees will now be going into their second and third years of growth – and should start to produce enough to start making Apple Sauce, Cider, Juice, Pie Filling and more. For now – we head to local orchards to pick what we need. The grapes will also be heading into year three – and should start to produce a small harvest next year. The majority of the grapes will be used to make juice and of course our wine. (Can’t wait for that!) In addition to what we have planted for wine grapes – we planted a line of concord grapes for juice, jams and jellies. 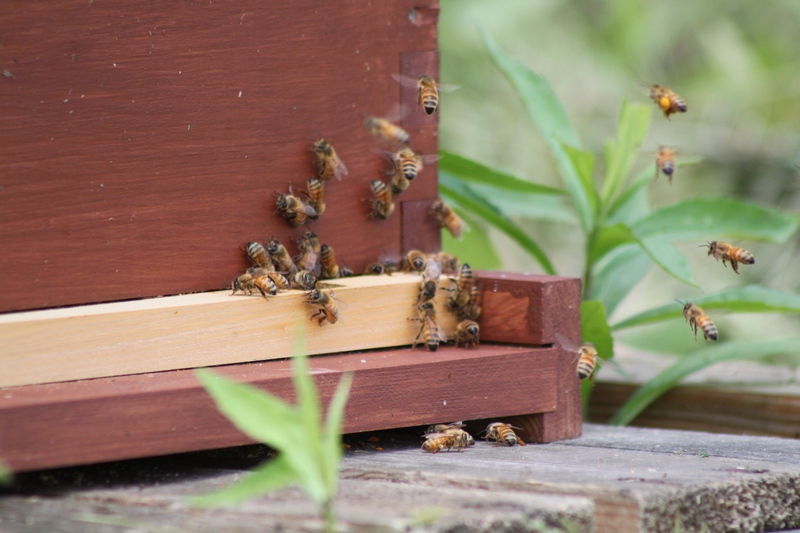 The bees are a valuable source as a pollinator of our crops – and for their honey! Luckily – our chickens provide us with fresh eggs year round – and are by far one of the best providers at the farm. (See:Raising Our Chickens) The bees, of which we will increase our hives from one to 3 next year, are also a huge benefit. They give us the honey that we use in place of sugar in almost all of our recipes now – including our morning coffee. As for that coffee..it’s that one thing we just cant figure out yet…it seems Ohio is just not conducive to Juan Valdez and his beans :). Oh well – maybe we can always trade something we grow with Juan. Happy Gardening! Mary and Jim If you would like to receive our Sunday Farm Update each week – be sure to sign up to follow the blog via email in the right hand column, “like” us on the Facebook, or follow us on Twitter. ← The Pomegranate – Tips, Peeling Tricks And Recipes For This Super Fruit!